PUReBind is a family of PUR single clamp binders developed with the intent of making PUR binding easy and accessible to all. With application know-how from world leaders in adhesives Henkel®, the new generation PUR dispensers and applicators are being made available. 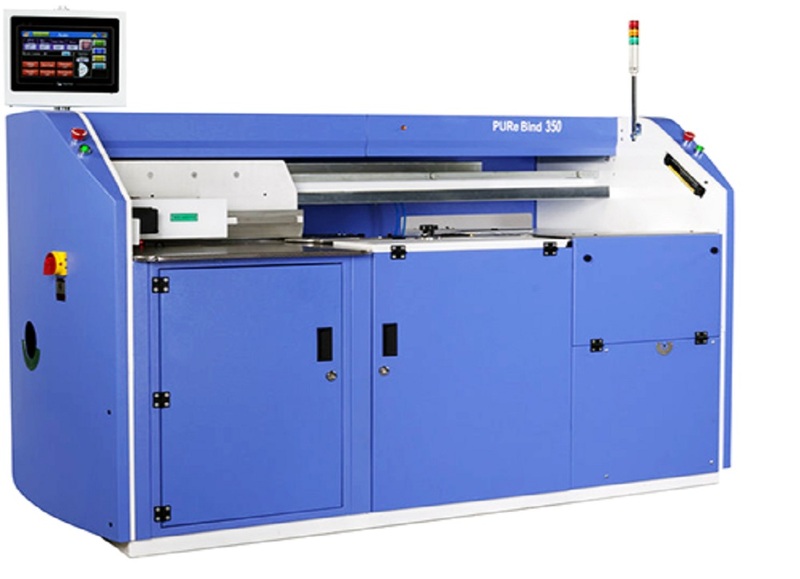 A closed system with specially coated, twin-premelter, dispensing PUR through slot coater and separate side gluing with hotmelts provide an ideal setup to turn around strong bound books in quick time.